As I write this, I am seated at my desk in our so-called office and showroom surrounded by towering piles of kitchen appliances, chunks of solid kitchen cabinets and units and sections of study shelving. A narrow path leads to my chair and looking back along it I can glimpse a sliver of the outside through the glass doors. You are always welcome to visit our ‘showroom’ but just at present, even a pre-emptive telephone call won’t help you to actually see anything – you can barely step inside, never mind make out the shapes, shrouded as they are in protective grey blankets! This is the 3rd time we have exhibited in this prestigious show. 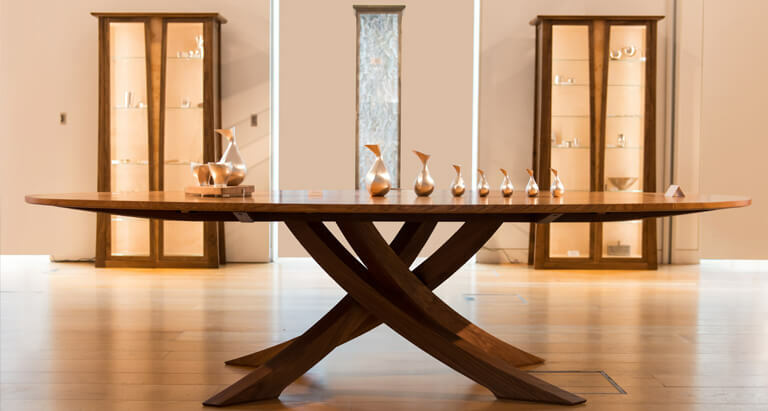 Part of London Craft Week, ‘Inspired’ presents the work of the very best of British silversmiths, including our friend, Karina Gill, displayed in and on furniture by the country’s leading furniture makers. This year we will be showing a contrasting pair of our drinks cabinets: one in English walnut with burr American black walnut doors, the other in sycamore with burr ash doors. The show is open Wednesday – Friday 10am – 5pm and Saturday 10am – 4pm. More details available here. 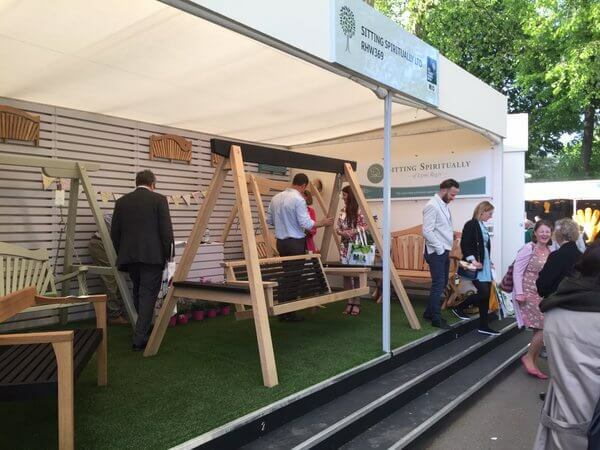 Following the success of the launch of our collaboration with Sitting Spiritually Ltd at RHS Chelsea Flower Show last year, Floating Bench will be returning in a slightly different guise. This year, you will be able to see two new versions of the Floating Bench: Blonde and Noir. As the names suggest, Blonde is completely un-scorched natural oak while Noir is jet-black, entirely scorched oak. They will once again be accompanied by our Yakisugi Swing Seat. Look out for Sitting Spiritually’s stand – RHW295. ‘Making Dorset’ is an exhibition of fifty of the best 3-D artists and crafts-people based in Dorset and will include the launch of a new book called ‘50 Dorset Makers’. 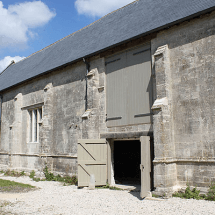 The show is a Dorset Visual Arts initiative and is curated by Professor Simon Olding , Director of the Crafts Study Centre and Simon Barber, Editor of Evolver Magazine. ‘50 Dorset Makers’ will be available to purchase at the venue and from each of the makers taking part. As we get closer to each event, we will update these details so keep checking back. If you can’t make it to any of these, then you are welcome to try your luck at the Courtyard Workshop, please though, do telephone first.